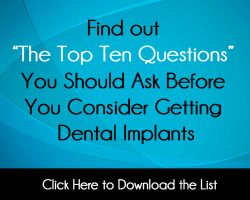 In order to place an implant that will be most successful, it may be necessary to modify the jawbone to create the most ideal site to receive the implant. 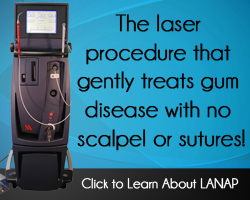 Piezosurgery is often used to perform those surgeries that are needed. Piezosurgery is a recently developed system for cutting bone without damaging soft tissue using ultrasonic micro-vibrations. Developed for use in Oral Surgery, Implantology, and Periodontics, this innovative technology allows doctors to perform procedures that were not previously possible. Traditional methods of bone-cutting (i.e. : drills and burs) can result in some tissue and bone loss no matter how careful and precise the doctor may be. Piezosurgery eliminates this risk. Instead of drilling, Piezosurgery uses ultrasonic vibrations produced by a special surgical instrument to achieve unparalleled precision and patient comfort. The doctor is able to perform procedures such as extractions, crown lengthening, periodontal therapy, and implant site preparation with increased accuracy and minimal discomfort. Leading doctors across the country are achieving consistently positive results using Piezosurgery. Patients are seeing amazing results with faster healing time, less swelling, and less post-operative pain!